Kekst CNC re-hires director, John Doe wins axe-throwing venue brief, MBO for Outwrite PR, and more from PRWeek UK. Kekst CNC has re-hired Roland Leithäuser (pictured), formerly a senior comms figure at asset management giant BlackRock, as a director. 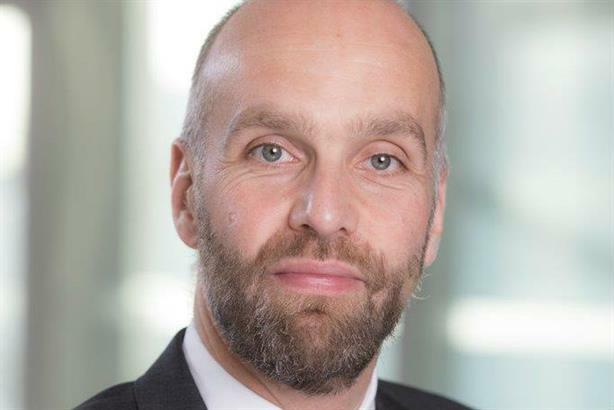 Leithäuser, who will work across the agency’s London and Frankfurt offices, was previously head of corporate comms for BlackRock in Germany, Switzerland, Austria and Eastern Europe, before working for the group in London, latterly as interim co-head of corporate comms in EMEA. He was formerly a consultant at CNC in Munich and Frankfurt. A Kekst CNC spokesman said: "Building on our strong performance across all markets, Roland’s experience and outstanding track record in financial services will strengthen our leading position in cross-border transaction, capital markets and issues management work." Neos, the firm billed as the UK's first smart home insurance provider, has hired Clarity as its UK agency of record following a competitive three-way pitch. The brief includes PR, social and content. Neos' service allows customers to link their smart home devices (such as smart indoor cameras and leak sensors) to an app on their smartphone, allowing them to monitor their home when you're not there. Whistle Punks, the ‘urban axe throwing’ entertainment brand, has hired John Doe as its UK PR agency following a competitive pitch. The relationship will begin with a launch of Whistle Punks latest venue in Bristol. The concept debuted as a pop-up in Shoreditch in 2015 and also operates in Manchester and Birmingham, with more openings due in 2019. John Doe is to lead the regional press office support surrounding launches, as well as developing a nationwide campaign later in the year to establish Whistle Punks as a lifestyle brand. NH Hotel Group has hired PR agency GribbonBerry to handle communications for its first Nhow property in London, which is set to open on City Road in August. The eight-floor hotel near Shoreditch will house 190 rooms, with the venue set to pay homage to "both the area’s industrial past and technological future", themed around "London reloaded". Nhow hotels currently operate in Berlin, Rotterdam, Milan and Marseille. North Wales-based digital PR agency Outwrite PR has changed hands in a management buyout. It has been acquired by its digital director Anthony Bullick from founder Tracy North for an undisclosed sum. Bullick becomes MD and North retains a client-facing consultancy role at the agency, which was founded by ex-journalist North in 1994. Its clients include Jones Bros Civil Engineering UK, Wynne Construction, Fairway Foodservice and Watsons Solicitors. It employs four people alongside a team of specialist consultants. The National Trust in the Midlands has hired Birmingham-based WPR for a series of PR campaigns that "bring to life" the work of the conservation charity. It follows a competitive pitch. With a focus on region-wide media coverage, WPR will be tasked with working with the charity to identify and promote stories that will generate the biggest external impact throughout the year.